“Unicorn” backpack made of 3 PET bottles (0.5l). It’s with pleasure that I introduce you to Affenzahn, a German brand that makes beautiful environmentally friendly backpacks and accessories for children that are produced in a responsible way. As I mentioned many times before, sustainability is critical to us. We have only one planet and if I can introduce you to a brand that values fair wages and working conditions of their collaborators, I will always do it with pleasure. Affenzahn belongs to Fair Wear Foundation* and Bluesign® system partner**. They use fabrics made from 50% recycled PET bottles and the method that they use reduces waste water output by 20%, energy consumption levels by 50% and pollutant emissions by 60%***. 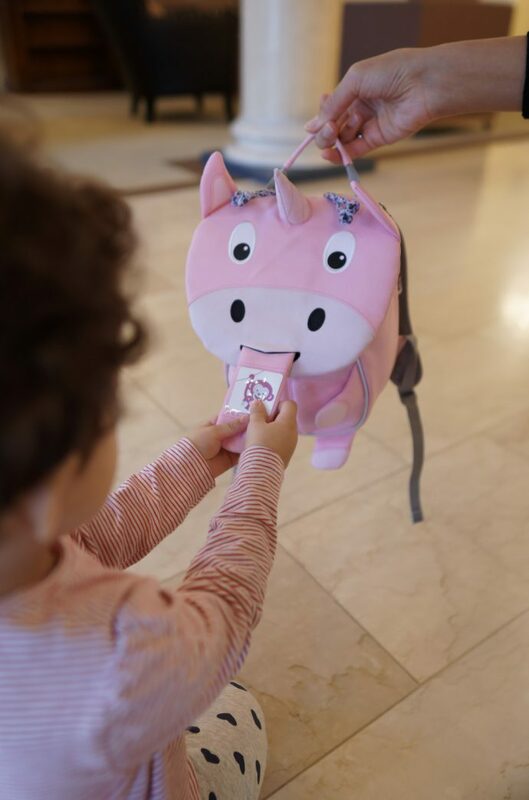 The small “Ulrike” unicorn backpack that Chloe-Sofia chose consists of 3 bottles (0.5l). 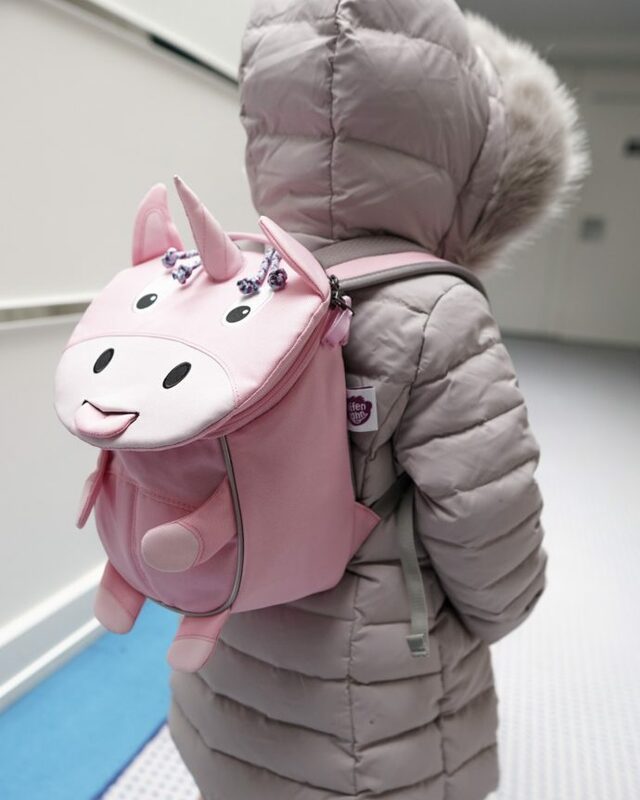 This beautiful unicorn backpack is suitable for children from one to three years old. Not only that all her Barbies and Lego cubes easily fit in, she likes to pull its tongue and play with the loop arms. It’s amazing because she can take it with her to the kindergarten and play with it at home. When I tried other backpacks, they didn’t fit Chloe-Sofia well and were not ergonomic. Affenzahn backpacks have an adjustable chest strap, zip closure, beautiful design and are super fun. As you can see, backpacks for children can be functional, ethical, and pretty. It is a magnificent addition to her toy collection which in fact is not a toy but she treats it as such. You can find Affenzahn backpacks here online and they ship internationally! * Fair Wear Foundation is a non-profit organization which aims to improve working conditions for garment workers. ** Bluesign® system is a Swiss company that connects chemicals suppliers, textile manufacturers, and brands together to foster a healthy, responsible, and profitable textile industry. such a cute backpack! so fun! I fell in love with this backpack on Insta. So cute! Such a cute backpack! I love that it’s made from recycled bottles too! This backpack is so cute!! I love brands that are responsible.